METTLER TOLEDO performs life-cycle testing on new scale designs before they are sold. If you are using a truck scale from another company, you may be acting as their field test site without realizing it. 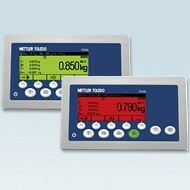 TOLEDO CAROLINA has a a variety of durable and dependable METTLER TOLEDO truck scales to meet the. METTLER TOLEDO named "Best Weighing Company" and "Best Laboratory Scale/Balance" as part of the Weighing Review portal’s 2015 online Reader’s Choice Awards. METTLER TOLEDO is proud to announce that it has been named "Best Weighing Company" and "Best Laboratory Scale/Balance" in the second annual Weighing Review Reader’s Choice Awards. The online poll included a field. Cheating the local truck scale can be a big business. In a recent case, cheaters defrauded a major international agribusiness company of $2 million. The scheme involved a scale operator working with suppliers to create bogus tickets for grain shipments that were never made. While most truck scale owners know that cheating goes on, few are. 2015 - Royston The number of food product recalls is increasing. The Organisation for Economic Co-operation and Development (OECD) has now begun recording the product recalls from Australia, Canada, the European Union, Japan and the United States. In the first seven months of 2015 alone, the OECD Global Recall. The IND890SQC terminal is used to control the consistency of the weight of a product and eliminates product giveaway from over-filling. Moreover, the IND890SQC terminal meets the requirements of an effective production control system; it is fast, simple to operate and reliable. 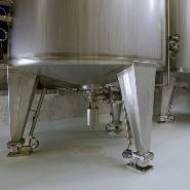 SQC-890 also helps to ensure production of high-quality products in line with international. Did you know that the human eye responds to colors much faster than numerical values? Reading and interpreting flickering digits on displays leads to operator fatigue and errors. However, easy-to-read color indicators display unmistakable information, showing whether the weight is within tolerance limits and reducing operator error. With color displays, operators can supervise several machines. When your truck scale has regular failures you might think that it is time to completely replace the scale. However, you could save money and receive better weighing quality by simply upgrading your truck scale to the latest technology in weighing. 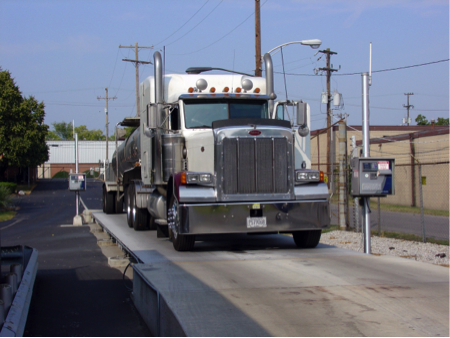 Truck scales that use outdated and aging analog or mechanical weighing technology are prone. A pre-calibrated load cell solution offers an economical and easy-to-perform way to ensure fair results. The calibration method, CalFree™, is the perfect solution for the calibration of tanks, or when placing test weights is impractical or an approximate calibration is sufficient. The method is independent of density of material, temperature and environmental conditions, such.